Korea has emerged as a global industrial powerhouse since the Korean War. Over the past six decades, automakers, shipbuilders, steelmakers and other manufacturers have become leaders in the industry. Companies like Samsung Electronics and Hyundai Motors have successfully sold Korean-made products across the world. To further raise its global profile, however, Korea Inc. must boost its ability to innovate and adapt to the rapidly changing global business environment, according to the head of the world’s largest accounting and consulting firm. He says only the those who successfully capitalize on ‘Five emerging global trends’ will emerge as a winner. In an interview with The Korea Times, Dennis Nally, chairman of PricewaterhouseCoopers (PwC) International, said Korean companies face an increasing difficulty in achieving sustainable growth against the unprecedented global economic landscape since the collapse of Lehman Brothers in late 2008. “What our Korean clients want to know is how they can grow in the current sluggish environment while looking for investment opportunities,” Nally said. “This is not unique to Korean businesses. Companies all over the world are facing the same question,” he added. He visited Korea on Nov. 17-18 to meet with local clients, including Samsung and KB Financial Group. PwC operates in 157 countries with over 184,000 employees. It provides 421 of the Fortune Global 500 companies with auditing, advisory, tax and other corporate services. Its Korean unit, Samil PricewaterhouseCoopers headed by Chairman Ahn Kyung-tae, works with Samsung Electronics, KB, LG Electronics and other large corporations. The firm employs over 3,800 accountants and other professionals. Nally first talked about the global demographic shift. “The coming decade will see explosive population growth in some countries and decline in others. Some countries are ageing rapidly, meaning their supply of working-age people will decline as a proportion of the total population. In contrast, other countries have populations that are young and growing, promising ever-larger labor forces and consumer markets,” he said. The chairman projects that in many parts of the world, the impacts of climate change will increase in extreme weather, raise sea levels and intensify water shortages, adding that these effects will make it more difficult to grow crops, raise animals, and catch fish. “Against such a backdrop, Korean energy companies should make more efforts to secure technological prowess in the environment-friendly, renewable energy sector. At the same time, Korea needs to mobilize more resources to advance its agricultural knowhow to meet the world’s growing food demand,” he said. A certified public accountant of Samil PricewaterhouseCoopers teaches market economy lessons for one day to elementary school students in Seoul on May 23, 2013. 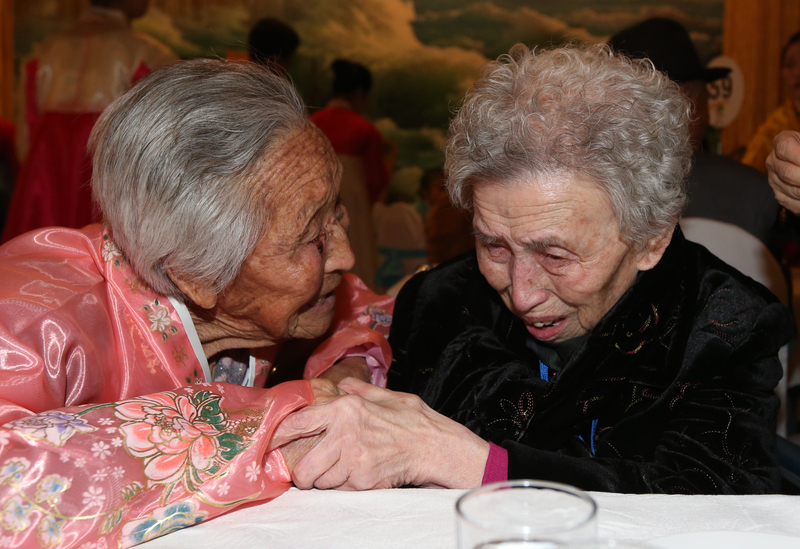 Korea is one of the fastest aging societies in the world as it faces the rapidly falling birthrates and expanding life expectancy. According to Statistics Korea, nearly 12 percent of the Korean population is now aged 65 or older. The ratio is projected to jump to 20 percent in 2026 and further to 38.2 percent in 2050, making Korea the world’s most aged society. Due to the shrinking working age population, companies here face higher wages and falling labor productivity, which is chipping away at their ability to compete. 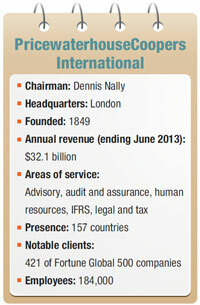 Nally has served as the chairman of PricewaterhouseCoopers (PwC) International since 2009. 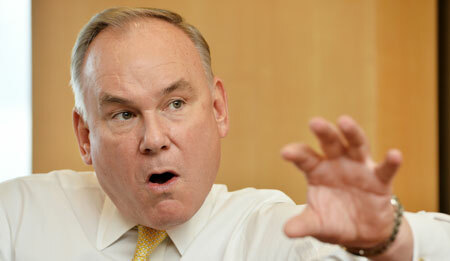 Prior to that, Nally was the chairman and senior partner of the U.S. unit of PwC. He has extensive experience serving large multinational clients in a variety of industries, but focusing on technology and life sciences. A graduate of Western Michigan University, Nally also completed executive programs at Columbia University and Pennsylvania State University.